Posted January 14, 2015 by Lorraine O’Hanlon, Galway Independent in News. Galway Airport has re-opened to corporate flights. The first corporate jet under the facility’s new licence arrived yesterday Tuesday, from Stuttgart in Germany. The executive jet, a Citation, had two crew and seven passengers on board who intend to be in Galway for a short stay and visit Connemara. The airport has obtained a new aviation licence and a fuel licence recently from the Irish Aviation Authority. The Irish Air Corps are carrying out an audit of the facility this week and the Coastguard search and rescue helicopter operations staff will also be visiting the facility to carry out their own audit. 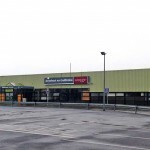 The airport is being operated under licence from Galway County Council and Galway City Council until May 2015 by Carnmore Aviation Ltd. a company owned by the Conneely Group in Ballinasloe. The group also own Weston Airport, Dublin and staff will be shared between the airports. 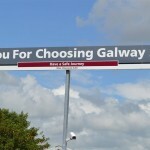 “It is only a small step buy great to have commercial aviation back at Galway Airport,” said the Conneely Group. 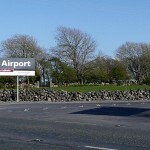 Galway City and County Councils have selected consultants Future Analytics Ltd to undertake a feasibility study of the airport, with a brief to look at the future use of the airport to maximise the economic development of Galway and the region.